chronVIEW offers a highly scalable solution for the visualization and statistical analysis of large hardware traces. 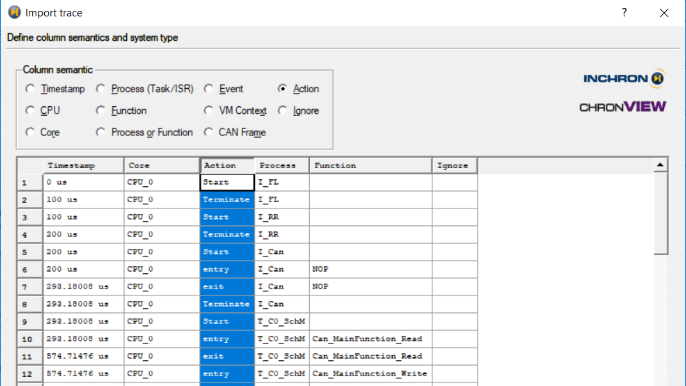 It supports the import of data generated by instrumented code, debuggers, tracing tools, and proprietary solutions. 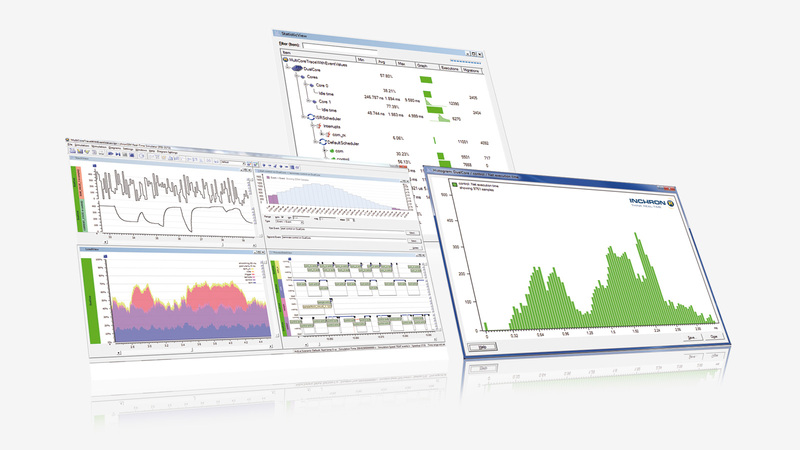 chronVIEW enables integration and test engineers to view and analyze recorded data from many different perspectives. Automated verification of requirements in combination with interactive diagrams contribute to a better understanding of the overall system behavior and the root causes of real-time errors. Deployed in many successful customer projects, chronVIEW has proven to be a driver for reliable decisions and optimizations based on facts. Visualization of RTOS scheduling, function nesting, data and control flow, user-defined events and event sequences, data values and rates, stack consumption etc.